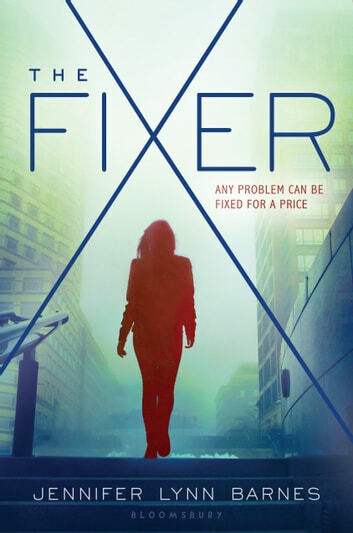 Tess Kendrick, teen fixer extraordinaire, makes her debut in a pulse-pounding thriller about a deadly conspiracy at the heart of Washington that's Scandal meets Veronica Mars. When sixteen-year-old Tess Kendrick is sent to stay with her older sister, she has no idea that the famed Ivy Kendrick is the capital's number one "fixer." For powerful people looking to make a scandal disappear, Tess's sister is there to help . . . for a price. And no sooner does Tess enroll the prestigious Hardwicke School than she unwittingly finds herself following in Ivy's footsteps. Tess never thought she and Ivy had much in common, but when her new friends at school need help, she discovers that her talents quickly make her Hardwicke's go-to high-school fixer. Secrets pile up as each sister lives a double life--until their worlds come crashing together in a conspiracy that reaches from the halls of Hardwicke to Capitol Hill. Suddenly, there is much more on the line than good grades, money, or politics. The odds are stacked against Tess, and the price for this fix might be more than she can pay. Perfect for fans of Scandal, Harlan Coben, and Ally Carter, the second book in this thrilling series will leave readers breathless.